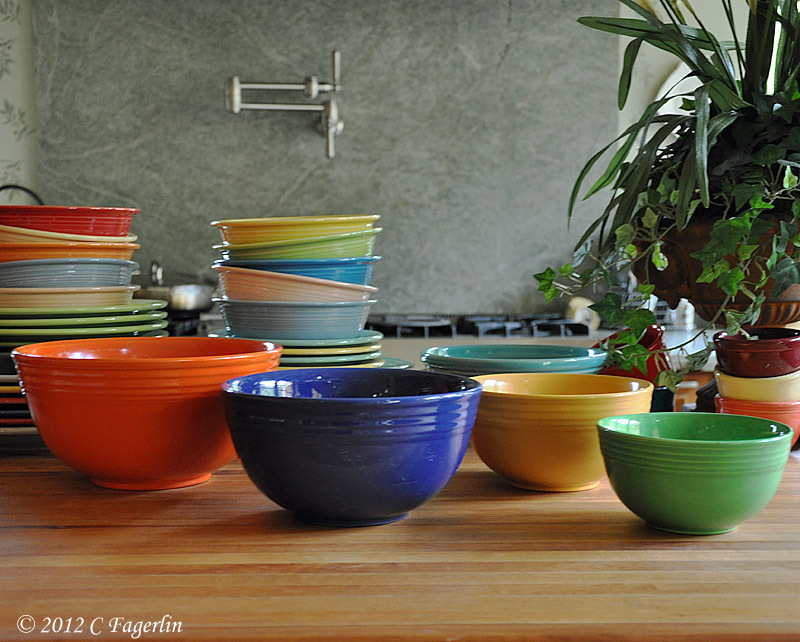 Radiant Ware GACO Bowls. They are thought to have been a promotional item for a Hall customer. Oh are those pretty! Vintage then? they look very 'Fiesta'. 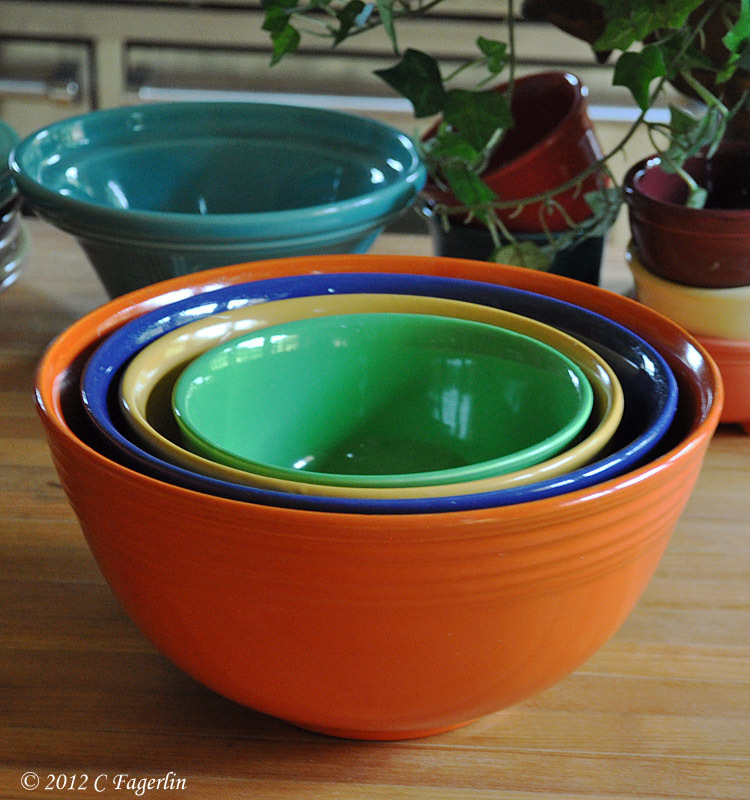 Fiesta's mixing bowls are sooo heavy...it stopped me from buyiing them. Well, plus the price!